When a fluorescent light bulb begins to flicker or goes out, the light cover needs to be removed before the bulb can be replaced. Some fluorescent light covers stay in place by way of gravity, while others have screws that fasten them to the light fixture. You can also take the cover off a fluorescent kitchen light to clean insects, dust and debris that gets trapped in between the cover and the light bulbs. 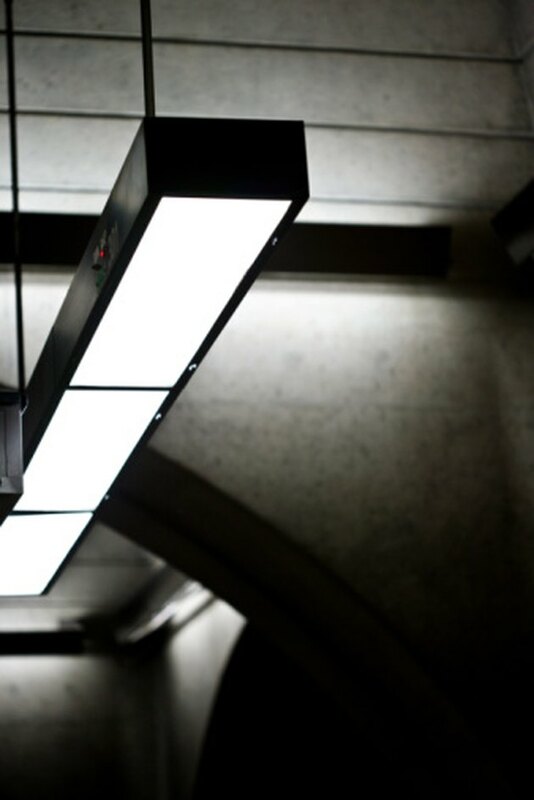 Fluorescent light covers protect the tube light bulbs from falling. Locate the screws at the the four corners of the light cover. Remove them with a screwdriver and pull down the cover. If there are no screws, go to step 2. Grip both sides of the light cover at the top where the light cover meets the ceiling. Grab the edge of the light cover and pull outward with both hands simultaneously. Pull until the tab holding the cover to the fixture frame clears and then pull it away from the fixture. If there are no tabs on the cover and it's flush with the ceiling surface, go to step 3. Push up on one of the four corners of the light cover. This will be a rectangular sheet of flexible plastic. Once you've pushed the corner up, grab the opposite corner with the fingers of your other hand and pull the corner down out of the light fixture. Angle this corner down and out until the entire side of the cover is free of the fixture. Pull the other end of the cover out of the frame. Cody Sorensen has been writing professionally since 2009. His online articles focus on his experience with painting, horticulture, construction, plumbing, home improvement and agriculture. Sorensen is a licensed truck driver, certified forklift operator and a journeyman painter. He studied organizational communications at Brigham Young University.